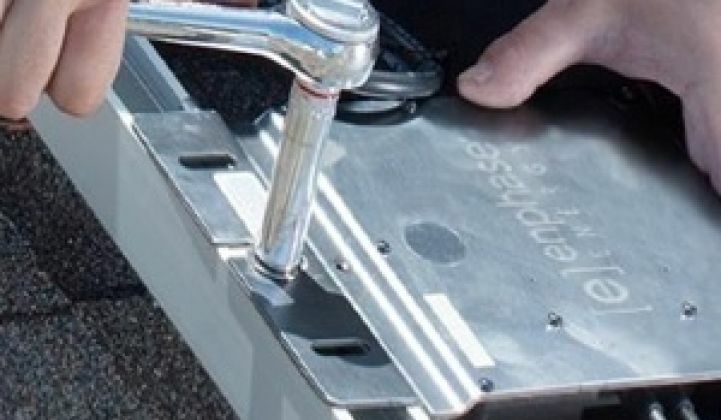 Microinverter pioneer Enphase Energy (ENPH) posted its first (non-GAAP) quarterly profit as a company. The firm just announced financial results for the fourth quarter of 2013. The company posted its first quarterly operating profit of $0.4 million (on a non-GAAP) basis and a GAAP operating loss for the fourth quarter of $1.6 million. The company also reported record-breaking Q4 revenue of $67.1 million and gross margin of 32.1 percent. The stock is trading at $7.58 (up 4 percent) and starting to show some life. The company shipped 485,000 units (amounting to 107 megawatts) this quarter, up 30 percent year-over-year. For the full year 2013, total revenues were $232.8 million representing 355 megawatts (AC) or 1.6 million microinverters. GAAP gross margin for the year was 29.0 percent and GAAP net loss for the year totaled $25.9 million. 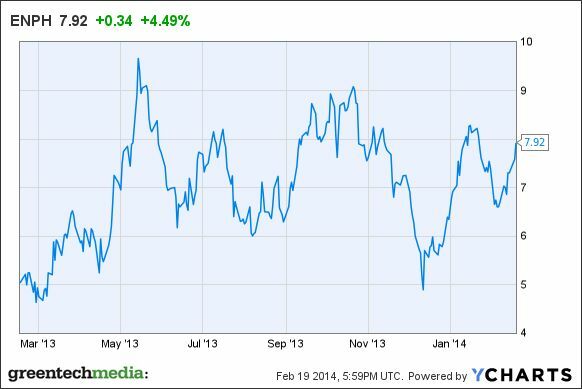 Enphase CEO Paul Nahi said, "We ended 2013 with a breakthrough fourth quarter. We posted the highest revenue in our company's history, shipping over 100 megawatts for the first time in any quarter, while our record gross margin marks the first time we have exceeded 30 percent in any quarter." Nahi again suggested that he has not seen "meaningful competition" from SMA or any other microinverter vendor. He views the current competition as string inverters. Enphase just added Richard Mora, the COO of Landis+Gyr, to its Board of Directors. GTM Research notes that over half of U.S. home solar systems used microinverters or DC optimizers in 2013. Learn more in the latest GTM Research microinverter and DC optimizer report. 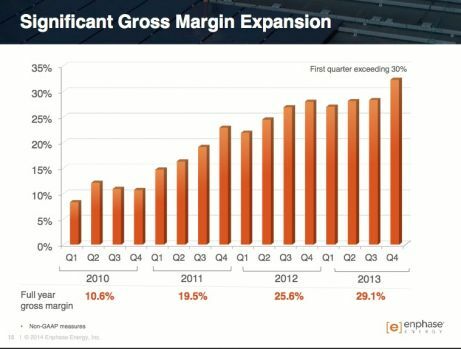 SMA is still the dominant inverter company in a volatile, consolidating $7 billion market. SMA "is now shipping the [SMA microinverter] to the U.S. market." SolarBridge is a microinverter maker in the business of AC modules, getting to market in partnership with module makers. ReneSola is delivering 10,000 units per month in the U.S., according to Brian Armentrout, the firm's marketing director. Enecsys VP Kevin Bushby claims Enecsys has 160,000 microinverters worldwide through distributors and in cooperation with module makers. Power-One, acquired by ABB, has a microinverter offering. Petra Solar has installed over 170,000 AC modules. Altenergy Power Systems has shipped more than 100,000 microinverters, with the majority going to the Australian residential market, according to a spokesperson from the firm. Chilicon Power has just started building microinverters for its first large design win of 170 kilowatts (680 modules) in Simi Valley, California, according to a release. SPARQ Systems is partnering with Solartec Mexico, a solar panel manufacturer, to deploy solar on 1,000 "small homes" with PV modules using SPARQ's microinverters. CyboEnergy builds a "mini-inverter" with per-module-MPPT for four modules. The firm iEnergy has been shipping into the U.S. market since late last year. Involar, LeadSolar, and Samil Power also build microinverters. Within the greater module-level panel electronics market, Enphase and SolarEdge (SolarCity is a customer) are the dominant players, with Tigo ranking third, according to GTM Research's MJ Shiao.